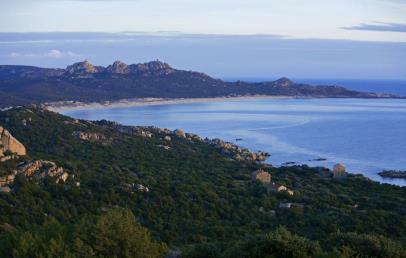 The Domaine de Murtoli is in Corsica, just 40 minutes from Bonifacio in the direction of Ajaccio. 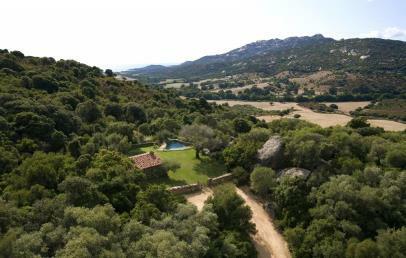 It is surrounded by lush, unspoilt countryside, less than 25 minutes from Figari airport and one hour and forty-five minutes from Ajaccio. The estate, featuring unrivalled hospitality, proudly casts aside classic conventions. 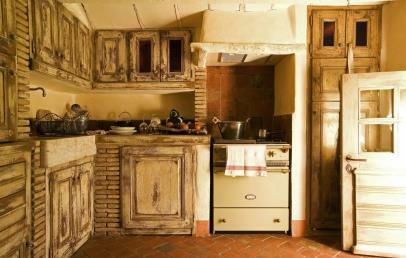 It is much more than simple agritourism and far more like a “hotel diffuso”. 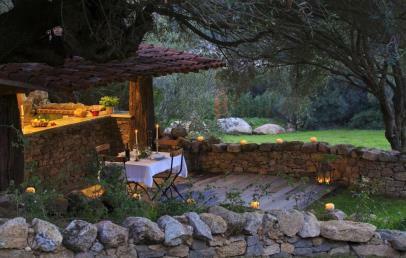 It confirms its status as the only 5 star hotel open all year round in southern Corsica. 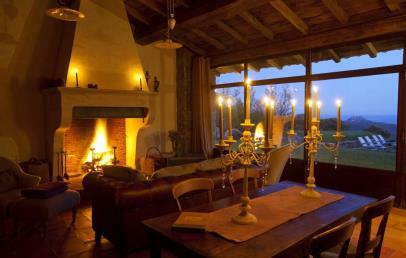 The Domaine de Murtoli has twenty villas dating back to the 17th century, which guests can enjoy in total privacy. It offers numerous services, as well as the opportunity to experience first-hand the landscape and age-old skills which carved out the history of this area. The farm is the heart of the business with production that strictly follows the rhythm of the seasons. It produces oil, meat, vegetables, fruit, cheese, cured meats, timber and flowers. Classic hotel services are provided daily for guests staying in all the villas, starting with breakfast. The layout of Domaine de Murtoli means that a powerful vehicle (such as an SUV) is required throughout your stay. The austere beauty of the stone buildings preserves their original appeal in keeping with their status as manor houses and shepherds’ houses, without foregoing comfort and modern conveniences. 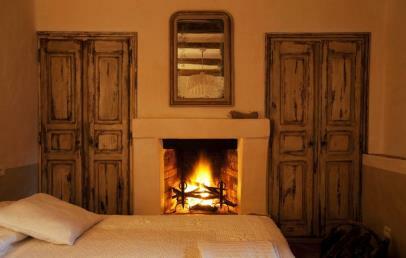 Guests are greeted by a grand wrought iron entrance and fire crackling in the hearth once inside. Valley-side – 9 villas which can sleep from 2 to 16 guests"
Guests staying in the Countryside or Valley-side villas can access a large communal and well-equipped beach. 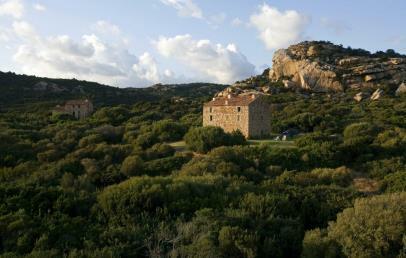 Those, on the other hand, who choose the Seaside villas have exclusive access to the Cala Murtoli cove. The beach offers excellent facilities, and adults and children can have fun doing water sports (paddle board, kayak), aqua fitness, morning exercise classes and mountain biking. During the summer, the De Murtoli SPA welcomes guests to an outdoor area, hydrotherapy cabins and Turkish bath, in pleasant surroundings featuring the flowers and fragrances of native Mediterranean shrubs. In the off-season, spa treatment is provided in a dedicated indoor room. All the products used are 100% natural and top-quality from the locally-produced Nucca range. Guests can make use of the magnificent golf course which blends seamlessly into the landscape, respecting and enhancing the natural beauty of the surroundings. Love of nature is the common thread running through all aspects of a stay at Domaine de Murtoli and is continued from the villas in their countryside setting to the dining table. 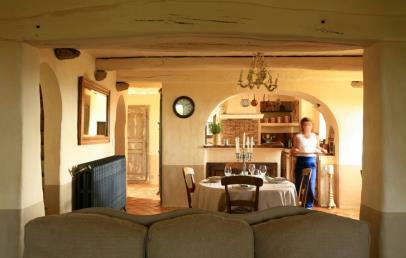 You can enjoy the products of the estate in the three restaurants. The “La Table de la Ferme” restaurant – a spacious dining room and terrace overlooking the golf course, featuring rustic-chic and creative cuisine which highlights the estate’s farm produce. From May to mid-September, the Table de la Ferme becomes the summer residence of the renowned chef, Mathieu Pacaud (1 Michelin star), who guarantees an authentic sensory experience with his culinary creations. The “La Table de la Grotte” restaurant – a natural cave transformed into a fascinating, welcoming dining room serving traditional Corsican fare with the emphasis on conviviality. The restaurant affords magnificent views from its terraces which overlook the estate. 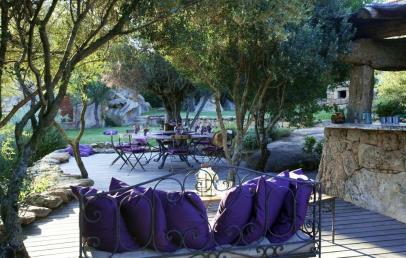 An evening with Corsican music is organised every Thursday in the high season. The “La Table de la Plage” restaurant – cuisine with Mediterranean overtones, served outdoors in a restaurant inspired by ancient fishermen’s huts, where the tables are laid out on the terraces, in the bar area and down on the beach. The restaurants are open, weather-permitting, at the discretion of the hotel management. The hotel offers a series of itineraries to explore the wide variety of landscape, both on foot and on horseback, with horse-riding activities dedicated to children. You can also try different types of fishing or harvest vegetables; taste local wines and food; visit the vineyards and meet local farmers. Free Wi-Fi connection in the villas, restaurants and reception area. Animals are not allowed in the Seaside and Valley-side villas, restaurants or on the beach (transgression will result in cancellation of the stay), but they are allowed outside the Countryside villas. You may be asked to use a transport box. There are three Seaside villas: two of which are 150 m2 with 3 bedrooms and 2 bunkbeds, each one can sleep up to eight guests. 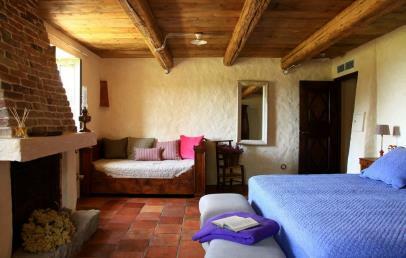 The third villa has four bedrooms and four bunkbeds, sleeping a total of 12 guests. 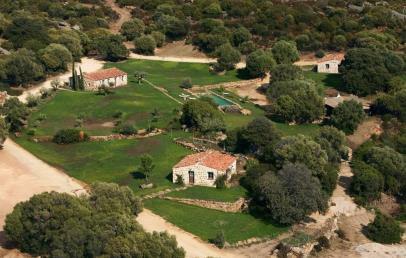 The third villa is very close to the bay of Murtoli. There are eight Countryside villas which can sleep from 2 to 8 guests. They vary in size from 35 m2 to 160 m2, featuring from one to four bedrooms, also available with bunk beds. There are nine Valley-side villas which can sleep from 2 to 16 guests. They range in size from 30 m2 to 300 m2; featuring up to 7 bedrooms. 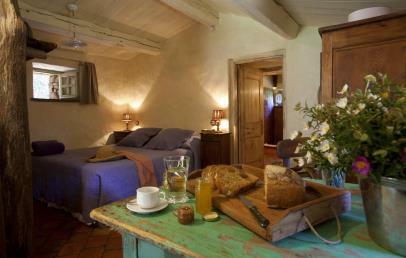 Only for Charming customers: free upgrade in the higher villa category (upon availability)!